You hear it all the time from experienced professionals both baby boomers and Gen Xrs – Millennials have way too much of sense of entitlement, lack a work ethic, expect rewards for what might be seen as just doing their job, and expect salary raises and promotions to happen in a matter of months. As a parent of two Millennials I’m here to tell you that we were part of the problem. And by the way Millennials are really not all that messed up. Maybe a little but then aren’t we all? Back around 2000 when I was heading up the ‘Board of Directors’ for our local Little League (how sad is it that there’s a need for a board of directors to administer baseball games for 5-12 years olds?). Sitting in a board meeting, a past board president mentioned that across all leagues there should be trophies for all the kids since they loved trophies – for some even more than playing the game. The board voted yes and, for us at least, the trophy generation was created. I was not in favor but the vote was with the majority. Let’s be clear. Players on the sixth place team in a six team division that may have only tasted victory in a game or two, all received trophies. Even the players thought it was odd but they had no problem accepting the trophies. We’re all winners, right? 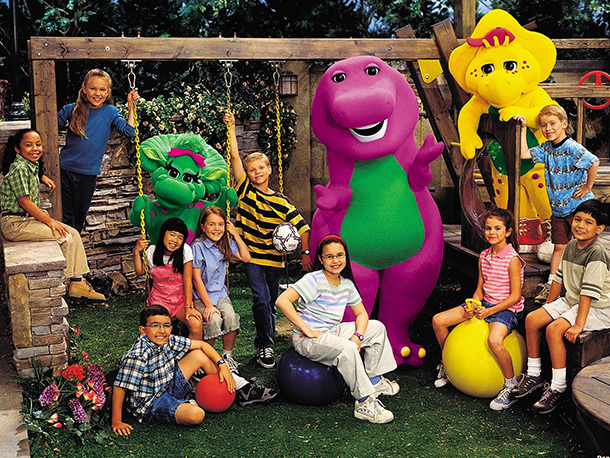 Then there was Barney. That cute (a cute dinosaur?) and sensitive purple dinosaur that constantly promoted that every one is special “in his or her own way”. As Dana Carvey’s church lady character would say – “Isn’t that special?). Fast forward to 2015 – what I hear almost daily is that Millennials are lazy, don’t want to come in on time and want a flexible work schedule. They want to be able to check social media during the workday (could you imagine? ), and text their friends during work hours. When Millennials accomplish a setout task they want recognition, or a raise, or a promotion. Is it possible that Millennials are modeling a behavior that we, Millennial their parents, created through our misguided efforts to build up the self-esteem of an entire generation? All that’s left is for Millennial parents to complain about how today’s young people just don’t get it. I seem to recall a similar opinion on Boomers from Greatest Generation parents when we were coming up through the ranks. From my vantage point Millennials are incredibly versatile, and can be extremely driven to achieve either a short or a long-term goal. And just as surely Millennials can be confused and disaffected about the ‘traditional’ working world, which is undergoing massive changes on a daily basis. Boomer parents worked more like their parents than Millennials ever will. And now Millennials, on their own, must try to figure out how to shake that trophy generation dogma. This entry was posted in Millenials and tagged Millennials, Millennials in the workforce, Trophy generation, what's wrong with Millennials?. Bookmark the permalink.